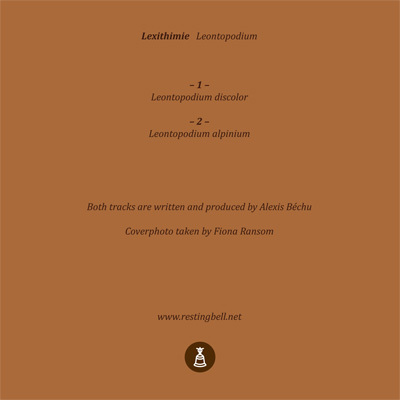 Lexithimie is a sound solo project founded by Alexis Béchu with focus on healing sound, extended classic, modern ambient and with care for minimal details and natural color. After a bunch of releases on various audio labels such as ropes swing cities, October Man, Hibernate recs and Under The Spire lexithimie’s music creates synthetic spaces from processed instruments, field recordings, layers of repetitive tones and sound infusion. 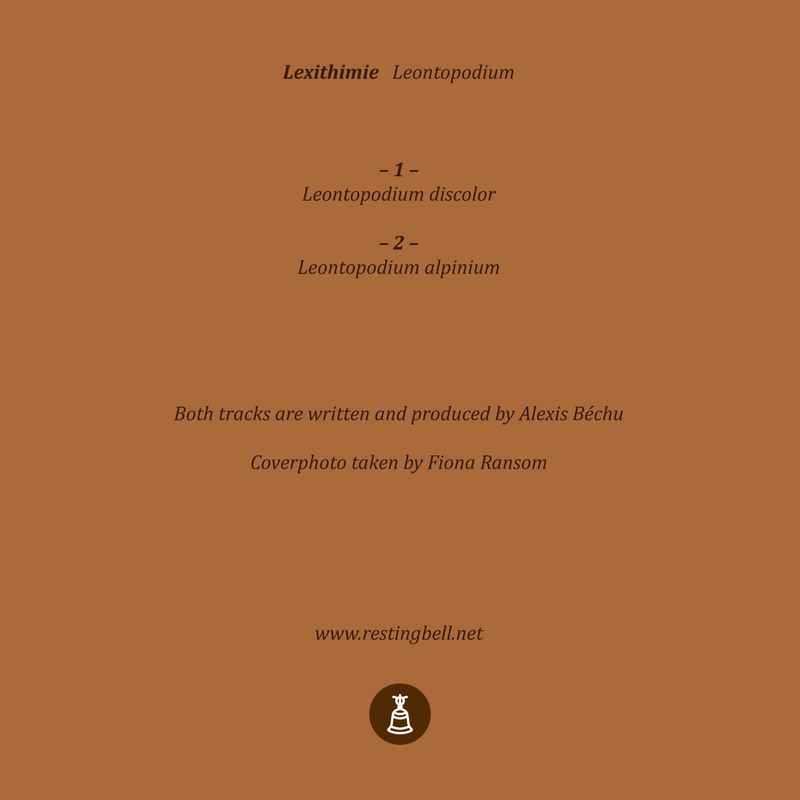 His two-track EP “Leontopodium” is a beautiful example for this. 24 minutes full of decent soundwalls, layers full of sublime melodies, slightly shifting and processing. The strongest motif in “Leontopodium” is in my ears the aspect of nature. Both tracks have a very organic, warm and natural feeling. 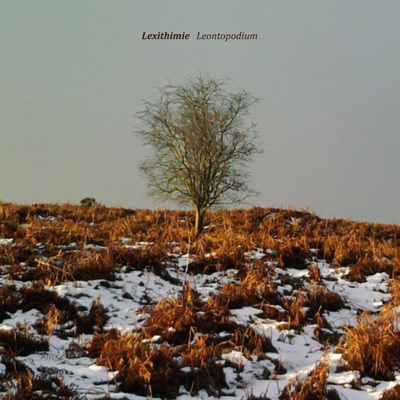 They are also perfect examples for building ambient music with minimal structure and melodies, and changing both elements over a long distance of time in a very subtle and gentle way. So you get the perfect soundtrack for drifting away, coming back and drifting away again. I recommend to listen to this with headphones which let you even more explore the depth and space of Alexis’s work.